When was the last time you left work early for an appointment with your Lacanian analyst? This is not the set-up to yet another Žižekian attempt at instructive humour, but rather one of the possible implications of Charles Wells’ argument for how Lacanian psychoanalysis can help us define and move towards a more liberated society. What starts as a rigorous and insightful reading of Žižek’s The Ticklish Subject—one that adopts Lacanian character structures to address the leftist divide between “perverse” identitarian politics and “hysterical” class-oriented Marxism(s)—develops, in the second half of the book, into Wells’ novel Lacanian solution to this divide. The result is a provocative intervention into the ideological and affective deadlocks that beset academic discourse on the left. Wells maps out this dilemma in his first two chapters. Here, the “old leftist problem” whereby attempts to challenge the dominant socio-political order risk ultimately strengthening and reinforcing it, is linked to the universalist Enlightenment project of defining a privileged political subject (workers), and a key emancipatory conflict (class struggle). Wells follows Žižek’s Lacanian lead, associating this position with the character structure of the hysteric who, in the deadlock between Law and desire, sides with the former over the latter (27). In contrast, the “new leftist problem” of “how to avoid taking up a position of oppressive power in the effort to induce the Other to accept liberation” is linked to the Lacanian perverse character structure and associated with postmodern identity politics (25). For the pervert, every attempt at universalism harbours a secret will-to-power under the guise of Law, while for the hysteric, the pervert’s transgressions fail to address the true barrier to emancipation, which does not reside in the Law as such but in the secret complicity of prohibition and enjoyment (28-29). This mapping might be accused of oversimplification: does the contemporary left really fall into two broad camps, each limited by its suspicions about the other’s position? Do actual people not harbour a mixture of perverse and hysteric tendencies, along with other possible character types? Though not explicitly addressed in the text, Wells’ Lacano-Žižekian schema anticipates this response, which is actually the pervert’s scepticism of universalist categories, and so we are delivered back to the heart of the very deadlock in question. A vote for the usefulness of this schema thus lies in its capaciousness: its rejection is anticipated by its very categories, compelling the reader to at least see the argument through. Furthermore, though Žižek’s tendency is to side with the hysterical position against the pervert, Wells’ approach turns a psychoanalytic eye on Žižek himself to chart an agile path through the described impasse. Noting that Žižek (in chapter 5 of The Ticklish Subject) addresses Judith Butler as his Other—as the most sophisticated contemporary author to articulate the perverse position opposed to Žižek’s universalist hysteria—Wells highlights Žižek’s own ambivalence; both solutions, in Žižek’s account, are wrong and worthy of critique, but one position (the hysteric’s) is less wrong than the other (35). Reading Žižek’s address to Butler through the lens of Hamlet confronting his own doubt as to his mother Gertrude’s desire, Wells positions Žižek as staging what we might define as his (Žižek’s) primal scene: because Žižek’s Other (the identitarian leftist exemplified by Butler) ultimately refuses to “hear” the hysterical position that holds to a universal subject and plan for liberation, the hysteric (Žižek) is forced to repeatedly “act out” his excessive doubt—to actually perform this doubt as a self-critical stance towards his own hysterical position (34). Žižek’s Lacanian somersaults in service of class politics simultaneously perform the deconstructionist doubt and ambiguity that they address. However, as Wells points out, this strategy leaves Žižek in a bind insofar as, by attempting to mollify his opponent through performing her own theory, Žižek simultaneously becomes blocked from the resolution of his own quandary: “So long as the Other remains deaf to Žižek’s message, so must he” (34). The solution, whereby a spirit of emancipation is redeemed out of the “failed and guilty body” of the left through an act of addressing the Other, is developed in the second half of Wells’ book (chapters 9-16), which offers a template for rescuing both perversity and hysteria from their inner contradictions (21). Before making this intervention, Wells usefully details how the leftist division structures contemporary ideological formations, and why psychoanalysis comprises a privileged set of theoretical tools for addressing this situation. Chapter 3 provides an instructive tour of Jean Laplanche’s theories of seduction and masochism in order to elucidate the intersubjective nature of the unconscious— which arises in response to the subject’s anxiety as to the desire of the (m)Other, whose actions are, in turn, overdetermined by her own mother’s anxiety-inducing desire, and so on (44-47). Chapter 4 uses Žižek’s idea of the “institutional unconscious” (the unwritten rules that accompany the official social mandate) to explain how the affective economy of traditional ideology allows subjects to identify with their social role while still indulging in otherwise forbidden, sadomasochistic enjoyment, inflicted on vulnerable others. Chapter 5 offers the psychoanalytic response to unconscious, discriminatory desire, traversing the fantasy to recognize that the “big Other” who guarantees one’s social role is ultimately self-contradictory and ignorant. Chapter 6 turns towards contemporary, “liberal, tolerant multiculturalism” which promises a freer and more tolerant society but conceals sadomasochistic enjoyment in the imposition of “politically correct” measures, all the while ignoring the depoliticized context of global capitalism that makes this regime possible. In revisiting this chapter, the recent example of the fall from grace of the Canadian Broadcasting Corporation’s former superstar, Jian Ghomeshi, offers interesting resonances with the complex Wells describes. The short Chapter 7 launches a scathing critique of this position of “reflexive sadomasochism” whereby seemingly progressive, contemporary subjects attempt to shield themselves from the true coordinates of their enjoyment, and the actual effects of their actions upon others. Driving further nails into the coffin of “postmodern ideology,” Chapter 8 details the “unholy conspiracy” between what Wells calls “(pseudo) fundamentalism” and (seemingly) tolerant, liberal capitalism. Like Žižek, Wells see these two positions as dialectically entwined, self-reinforcing responses to the eclipse of traditional ideological authority: in the case of fundamentalism, the big Other who has been evicted from the symbolic realm returns in the Real as a direct authority, while in the latter the absence of symbolic authority causes a proliferation of “small big Others in the Real.” Wells provides interesting and instructive examples of this proliferation of folk devils, from insistent, petty harassment to the posited evil geniuses of conspiracy theories (102). Surprisingly, it is a quality of actual (versus ersatz, contemporary) fundamentalism that will return in Chapter 13 as the defining trait of the reformed, post-analytic perverse character type; the indifference of true fundamentalists to all Others who do not share their particular fixation is the exact opposite of the mutual fascination that (pseudo-)fundamentalists and (seemingly) tolerant liberals harbour for each other (105-7). By admitting that advocacy for this or that particular group necessarily contains an exclusionary gesture due to the particularizing nature of enjoyment itself, identity politics can shed its paradoxical intolerance of intolerance, the disavowed pleasure taken in a sometimes heavy-handed policing of discourse and activism. This does not mean giving up on solidarity and coalitional politics, but rather allows these projects to be undertaken from a position unburdened of the ressentiment and disavowal that often hinder us. In these chapters Wells clears up many of the conundrums that Žižek’s Hegelian-Lacanian acrobatics have often raised for me, and Wells’ book, if it ended here, would be a very useful contribution to Žižek scholarship and an aid to readers of The Ticklish Subject in particular. However, Wells’ articulation of the postmodern deadlock, though initially driven by an attempt to systematize—to discern, or possibly to impose, an underlying structure to the convolutions of Žižek’s thought—ultimately leads Wells to abandon Žižek’s solution to the leftist problem (the idea that hysteria and perversion are both wrong, but the former is less wrong than the latter), and to form his own response. In its second half, Wells’ book emerges as a performance of the very theory he is writing: out of the failure to find, in Žižek, a solution to the leftist deadlock emerges an novel perspective that, in fine dialectical form, solves the antinomy by examining and transforming the presuppositions upon which it is based. This innovation begins in Chapter 9, where Wells asserts Žižek’s idea of social antagonism as a “diagonal division” that exists not only between, but also within social groups in what might be described as a fractal manner, extending from the macro level of social totality “all the way down” to the micro level of the self-divided individual psyche. 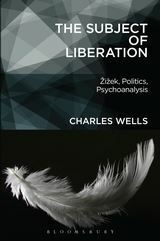 This chapter is important for guarding Wells’ psychoanalytic model from being relegated to the realm of the purely individual; because the divisions that structure larger society are reflected in, and ultimately the product of, self-divided psyches, the political dimensions of psychoanalysis as essential to collective social transformation are secured (120). Furthermore, by taking antagonism as a fundamental principle structuring both individual psyches and larger society, Lacanian psychoanalysis allows for a unique “meta” perspective on politics, as Wells highlights when he points out that “what makes political perspectives antagonistic towards one another is precisely the difference between their specific fantasies of how to do away with the antagonism that divides them” (121). In Chapter 10, Wells adopts Lacan’s theory of the four discourses as four distinct ways of addressing one’s Other in relation to the problem of antagonism in the Real. Here, the discourses of the Master (which takes the form of imperative), the Hysteric (interrogative), and the University (declarative) are mapped onto the character structures, with the hysteric’s eponymous discourse harbouring the secret desire for an “adequate master,” while the pervert adopts the discourse of the University, cloaking his desire in superego injunctions buttressed by expert knowledge. In response to these hidden deferrals to authority, the discourse of the Analyst (which corresponds to no particular character type, but has structural similarities to that of the pervert) uses silence to confront both the hysteric and the pervert with the need to take ethical responsibility for his or her character. To further articulate the unique strength of the analyst’s position, Chapter 11 ingeniously introduces the Hegelian logic of the short circuit, “in which form and content are interrelated” (145), a move that becomes important for rescuing Žižek from charges of radical decisionism in Chapter 16, and that, I would add, prevents Wells’ Lacanian vision of liberation from slipping into the mode of chronic deferral that characterizes the deconstructionist’s obsessive stance (critiqued in Chapter 2). Chapters 12 to 14 describe the “post-analytic” subjectivities that the hysteric and pervert assume once they have traversed the disavowed contents of their respective political fantasies. The form/content short circuit dictates that, though the analyst’s discourse of silence opens a purely formal, necessarily contentless space of freedom in which a subject is forced to take responsibility for the choice of his or her own character structure, the very form of this space demands that the choice produced will be an ethical one. In other words, once truly confronted with the space of terrifying freedom privileged by the analyst’s discourse, any subject (whether pervert or hysteric) cannot but choose in a way that extends the same space of freedom to his or her Other(s). It is this fact that rescues Žižek’s hysterical position from radical decisionism (in which any choice whatsoever, even for repression and evil, would have to be sanctioned). And it is this same confrontation with “subjective destitution” that transforms the pre-analytic hysterical type into the post-analytic analyst—the one who realizes that the single privileged subject and narrative of history is the universal subject who must occupy the space of radical decision, deciding for him or herself the name of the key antagonism that structures social reality (158). While the post-analytic hysteric thus becomes “the analyst” who guards the space of radical, open decision, the post-analytic pervert becomes “the lover”—the one who has decided upon her or his fidelity to a singular, necessarily partial and imperfect revolutionary subject, with sublime indifference to all other considerations. The remaining two chapters detail the larger social implications of Wells’ theory, introducing the idea of “the universal right to psychoanalysis” (Chapter 15) and a nuanced articulation of “Bartleby politics” based on the post-analytic hysteric’s refusal of mastery (Chapter 16). Wells’ Žižekian fidelity to antagonism in the Real helps turn the internal limit of leftist thought—the stumbling block of the impossibility of non-oppressive political unity and cohesion—into the very conditions of liberation for society as a whole, offering a new way of “relating to the impossibility of political unity or liberation that would be preferable to, and more liberated than, the one we have now” (7). Perhaps not surprisingly given Lacan’s accounts of the circular nature of drive, this manoeuvre delivers Wells-as-post-hysterical-analyst very close to where he started: to Žižek’s fascination with the pervert’s (Butler’s) position of radical openness to the heterogeneous Other. A key difference emerges, however, in that, having traversed their respective fantasies, a way is now opened for the pervert and hysteric to hear/understand the traces of their own positions in that of the Other. Wells’ solution to the leftist deadlock asserts Lacanian analysis—the discourse of the analyst—as a means by which leftists of various stripes might transverse the fantasies that tether them to postmodern ideological structures, and thus jointly reconstitute the left’s position as a vanguard of progressive social change. In this process, the hysteric’s fixation on working class struggle is stripped of its particular historical inflections to become fidelity to the (necessarily empty) structuring principle of antagonism itself (presumably opening a space for exploited workers to figure it out for ourselves), while the pervert’s contortionism in service of impossible inclusivity is transformed into focused attention on one particular subject and struggle (allowing one, for instance, to love the working class—or another revolutionary subject—despite all failures and foibles). This performative and transformative process whereby each character type effectively takes on the characteristics of the other might resemble Carl Jung’s use of to the ancient Greek term enantiodromia, or the tendency of things to turn into their opposites. However, Wells’ deployment of the logic of the short circuit rescues his account from a merely circular, a-historical oscillation between opposites: the fact that the form of the psychoanalytic decision inflects content ensures that the very act of deciding has a reflexive, transformative effect on the content being decided upon (146-51). This progressive, historical element can be further emphasized by noting that Wells’ treatment of character types and their transformations, though they are presented as totalizing structures that cover all of human possibility, are, like the Oedipus complex, also the insistent products of social relations under particular historical conditions. As such, the Lacanian character types (articulated via the four discourses) might very well offer the contemporary keys to a concerted, left-led social transformation, after which new possibilities for subjectivity and social organization could give rise to very different constellations of problems than the ones The Subject of Liberation so productively addresses. Jung, C. G. Two Essays on Analytical Psychology, 2nd ed. Trans. R. F. C. Hull. Princeton: Princeton University Press, 1972. Print. Pg. 72. Simon Orpana received his PhD in 2015 from McMaster University, where his dissertation used Lacanian and Marxian theory to examine the political dimensions of subcultures in the context of gentrifying, “post-industrial” cities. He is currently working with Robert Kristofferson of Wilfrid Laurier University to make a graphic history of the 1946 strikes in Hamilton, Ontario.